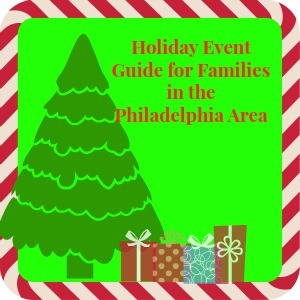 Our comprehensive listing of holiday events lets you and your family fully embrace all of the holiday spirit available in Delaware County and the surrounding areas. Please click on each link for the full detail on the cost and specifics of each event. Happy Holidays from Fun Things. 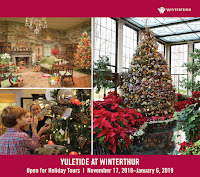 The beauty and inspiration of these traditions continue today at Winterthur with our treasured Yuletide tour. Glimpse into Yuletides past and be inspired to create your own spectacular celebrations. From sparkling trees to stunningly decorated rooms, there’s something for everyone. Join us to tour Henry Francis du Pont’s home decorated in holiday style! The 1803 du Pont family ancestral home, Eleutherian Mills, will feature holiday decorations and interpretation on the French traditions of exchanging gifts on New Year’s Day and the celebration of Twelfth Night. 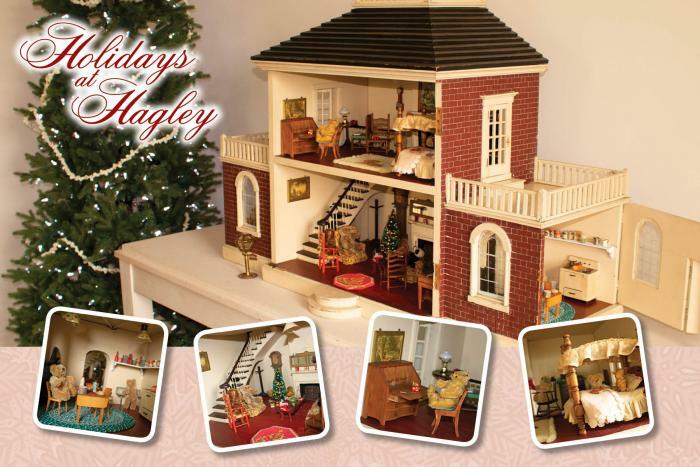 Experience the du Pont ancestral home decorated for the holidays and "The Magic of Miniatures” exhibition, featuring a whimsically detailed dollhouse inhabited by miniature teddy bears! 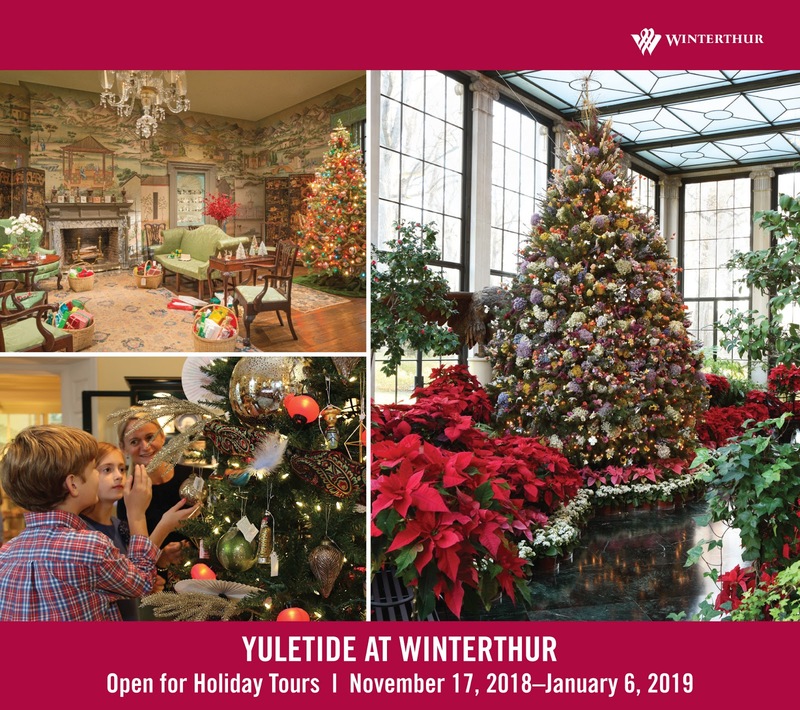 The museum celebrates the season with fabulous holiday displays including an extensive O-gauge model railroad, an elaborate Victorian dollhouse, and thousands of whimsical "critter" ornaments on holiday trees. The Farm is decorated for Christmas. 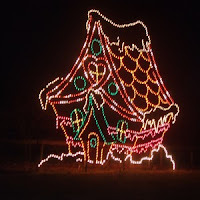 See our Christmasland display and visit with the animals in their winter coats. 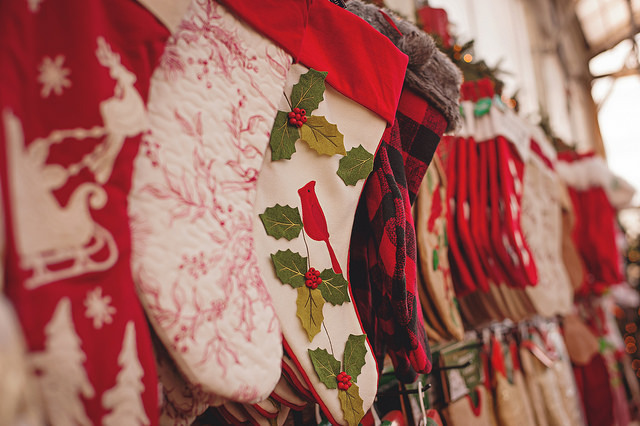 The Farm Market features wreaths, freshly cut trees, greens and holly, decorations, fruit and gift baskets, Christmas gifts, hot mulled cider & children's crafts. 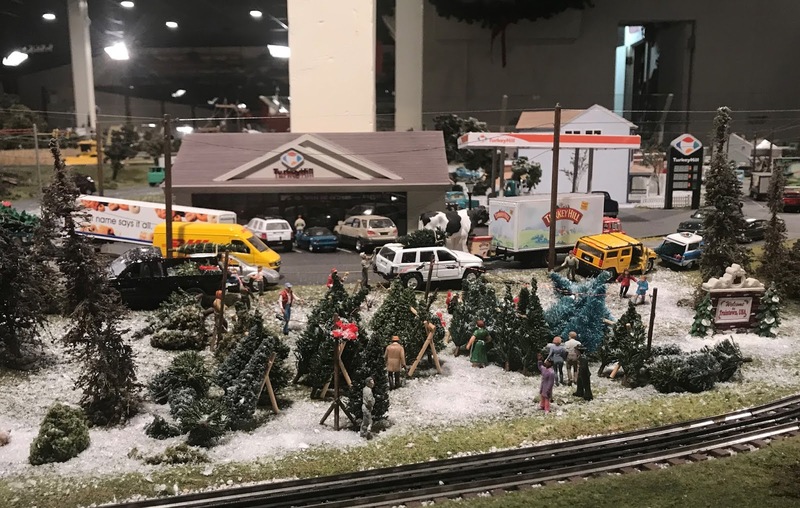 Starting November 15, search for 57 hidden Santas (one for each year we have been open) and watch as Santa’s sleigh flies above the 1,700 square foot model train extravaganza, which includes 150 hand-built animations and 22 moving trains. Enjoy the holiday decorations throughout the display including holiday lights and the snow-covered landscape. Plus, take a close look at the zoo animals in Traintown to see how they’re getting into the holiday spirit. 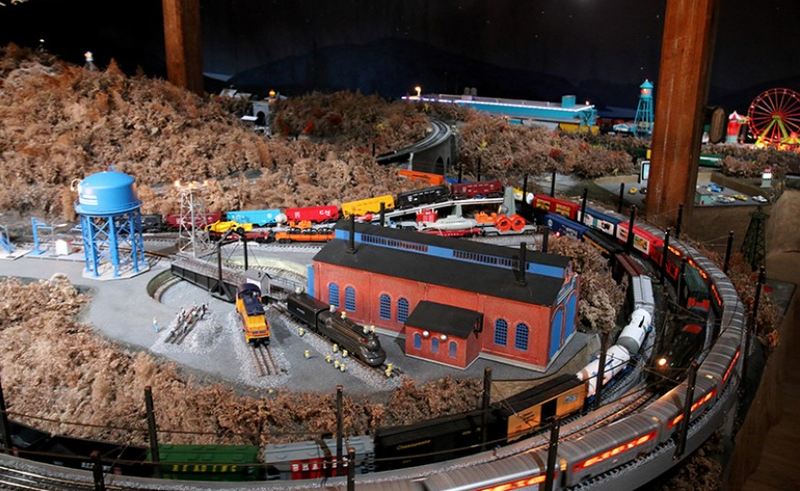 Visitors of all ages will be wowed by a quarter mile of track featuring seven loops and tunnels with fifteen different rail lines and two cable cars, nine bridges (including a trestle bridge you can walk under), and bustling model trains, all set in the lovely winter garden of the Morris Arboretum. The display and buildings are all made of natural materials – bark, leaves, twigs, hollow logs, mosses, acorns, dried flowers, seeds, and stones – to form a perfectly proportioned miniature landscape complete with small streams. Each building, while an exact replica of the original, is unique in its design. Philadelphia-area landmarks such as a masterpiece replica of Independence Hall are made using pine cone seeds for shingles, acorns as finials and twigs as downspouts. Celebrate the ancient tradition of Wassailing and singing Christmas Carols around the campfire! Enjoy roasting marshmallows and apple cider. 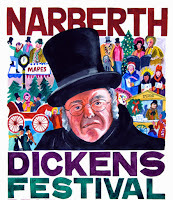 ​The Narberth Dickens Festival is a free family event held each December on the streets of downtown Narberth. It draws thousands to this little borough every year, and it has become the fastest-growing holiday festival in the Philadelphia area. In this Dickens-themed event, the town of Narberth is transformed into 1840's London, as Ebenezer Scrooge and all the characters from A Christmas Carol roam the streets for an afternoon. Bring your little ones to enjoy a themed Afternoon Tea! Ideal for children ages 3-8. This heartwarming attraction includes a delightful ride on one of our sound equipped hay wagons, through the rolling hills of Arasapha Farm, which has been transformed into a winter wonderland filled with huge light displays, decorated trees, and buildings, bridges, and brooks. Come face to face with real, live Reindeer and see a beautifully animated Santa’s workshop. The hayride lasts about 20 minutes and is choreographed with all the favorite songs of the season. After the hayride, relax by our bonfires or warm up with a cup of cocoa. 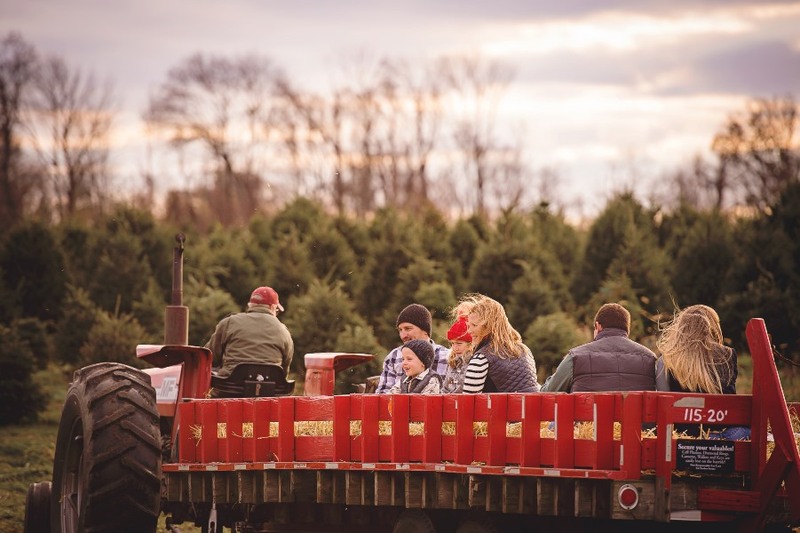 This all-new holiday hayride is perfect for all ages. Have your picture taken with Santa, and get an up-close look at our famous live nativity scene that features real animals and actors. Choose from hundreds of beautiful, fresh cut Christmas Trees. 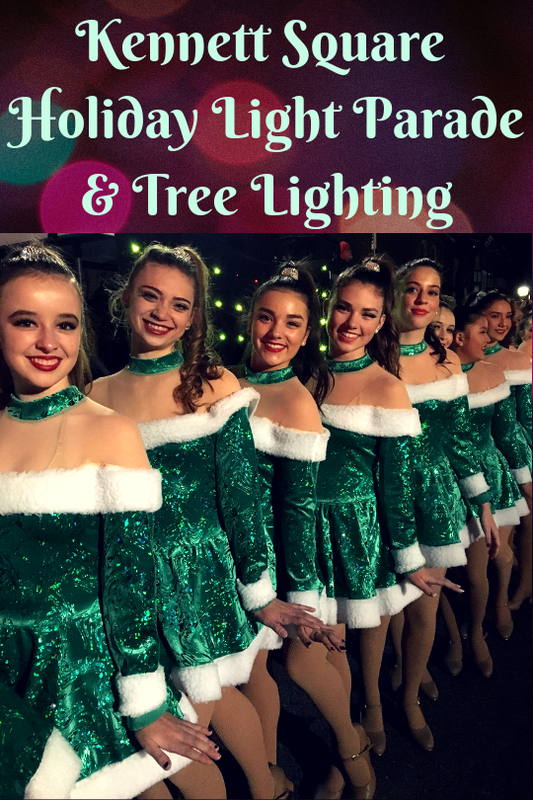 Holiday Parade and Tree Lighting in Kennett Sq. Holiday Parade and Tree Lighting. Media's 5th Annual Santa's State Street Fun Run and Walk will begin the festivities at 3pm! The run will be followed by The 5th Annual Santa's Parade. 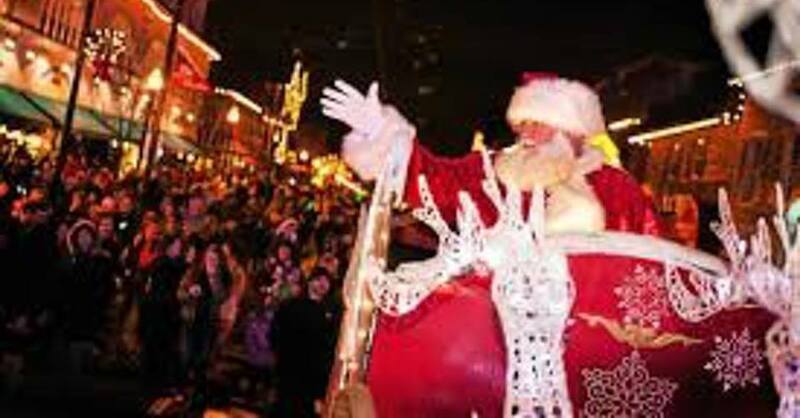 Dozens of magical floats and musical entertainment will get us all into the true Christmas spirit. And you know who will be our special guests, Mr. and Mrs. Claus, of course! The parade begins at 5 sharp! Calling all Good Girls and Boys! 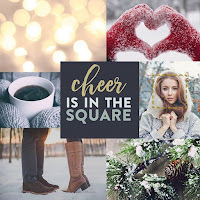 Be at Suburban Square when Santa and Mrs. Claus make a grand entrance in a horse drawn carriage. 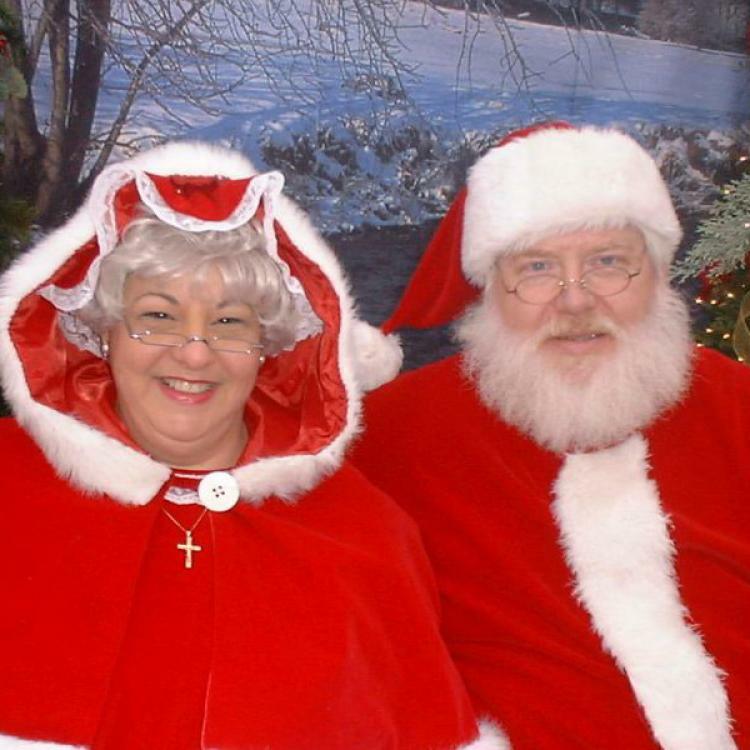 Santa and Mrs. Claus will be on their throne from 11:30 am to 4:00 pm to learn all about your wish list. You and your family will be entertained by a balloon artist and magician from 11:00 am to 2:00 pm. You will receive a complementary printed photo taken with Santa and Mrs. Claus to keep and treasure for years to come. And there's more!!!!! Kids' Crafts, a candy cane girl and hot chocolate, musical performance by the Lower Merion High School Jazz Band. Santa will be waiting for you! And, it's all FREE! Join us for a fun family holiday celebration. 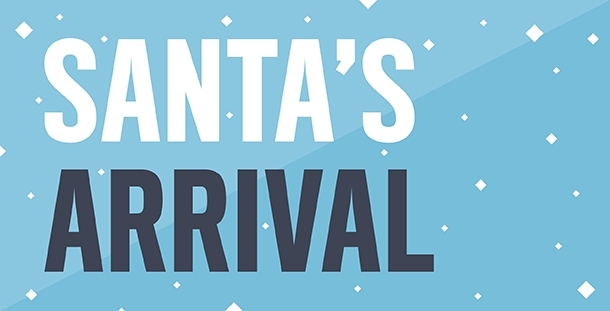 Santa will arrive promptly at 6PM; stay tuned for updated information on Santa photos and other fun happenings during this event. 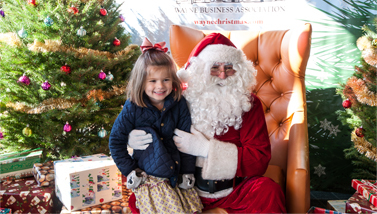 The Museum brings Santa via helicopter and Mrs. Claus to West Chester for its annual SantaFest on Saturday, December 8, from 10 a.m. until 1 p.m. Santa lands at 11 a.m. to greet good girls and boys, hear wish lists and distribute goodie bags. He visits with each one in his colorful workshop in the museum. Join us for the annual Christmas Parade at 7pm. The parade will take place between the 100 - 300 blocks of Bridge Street. The tree lighting is around 8pm. This annual West Chester tradition, hosted by the Greater West Chester Chamber of Commerce, will kick off Friday, November 30th at 7:15 pm! 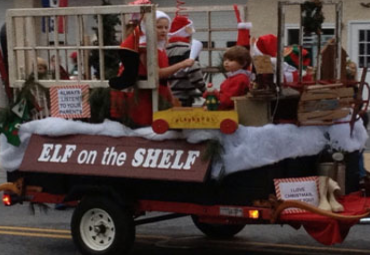 The parade promises to provide a seasonal mix of traditional elements with a modern twist—local schools, businesses, volunteer fire companies, and other service organizations will join the many marching bands, floats, and antique vehicles that have cemented themselves as mainstays in the Old-Fashioned Christmas experience. The 2018 Coatesville Christmas Parade will march down Lincoln Highway in Coatesville Pennsylvania on Saturday, December 1st at 10 AM. The Christmas Committee is working hard to bring you the best Christmas celebration ever. Come join us on Saturday, December 8th when Lancaster Avenue comes alive with the sights and sounds of Christmas! The Christmas Parade will begin at 3:00 pm traveling from west to east along Lancaster Avenue. Celebrate the holidays by enjoying a pancake breakfast with Santa. Share your holiday wishes with Santa and bring your camera to take photos. Make decorations and enjoy a few up-close animal encounters, all before the zoo opens. Plus, watch a few animals get their breakfast! Space is very limited for this event, so please register early. Enjoy a delicious buffet breakfast with Santa! 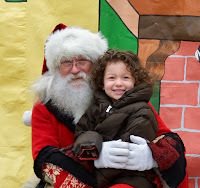 Children get to sit with Santa, share their Christmas lists, and of course, take photos. Must register for this event! Philadelphia Zoo guests are invited to celebrate the magic of the holiday season and enjoy a delicious breakfast buffet with Santa Claus as he travels the globe to visit America’s first zoo. Tell Santa all your holiday wishes and be sure to bring your camera to capture the memories at this exclusive festive celebration. Professional photographer services will also be available for purchase at the event. 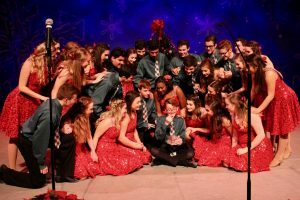 The Upper Darby Summer Stage Shooting Stars – a performance group featuring the region’s most talented teens – brightens the holiday season with the family show. The classically trained dancers of Pennsylvania Academy of Ballet Society offer a professional-level production of The Nutcracker that is popularly priced for all family members to enjoy. The ninety-minute performance is ideal for young audience members ages 4 to 94! Take a journey with Marie to the kingdom of snow and to the land of the sweets to meet fascinating citizens from throughout the world! 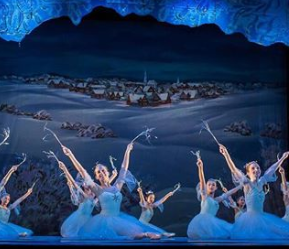 From a family holiday party to an exciting battle with toy soldiers and mice, to dancing snowflakes, and even a Sugar Plum Fairy, this affordable, yet finely produced production of The Nutcracker, featuring the beautiful music by Tchaikovsky, will be the ideal way to kick-off the holiday season! 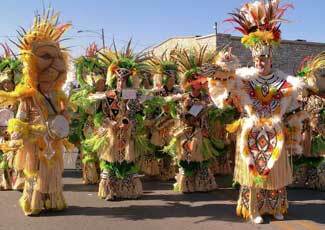 Performances take place the weekend prior to Thanksgiving. 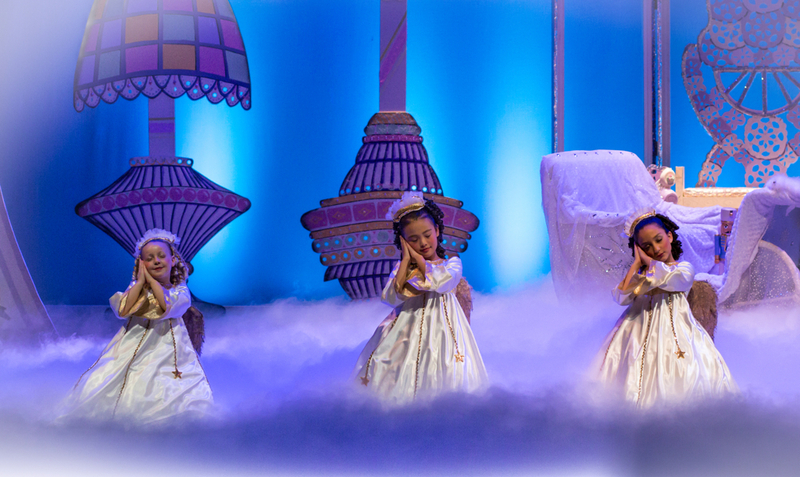 The Philadelphia Dance Academy’s Nutcracker is an expertly choreographed and beautifully executed masterpiece that is as family friendly as it is unique. 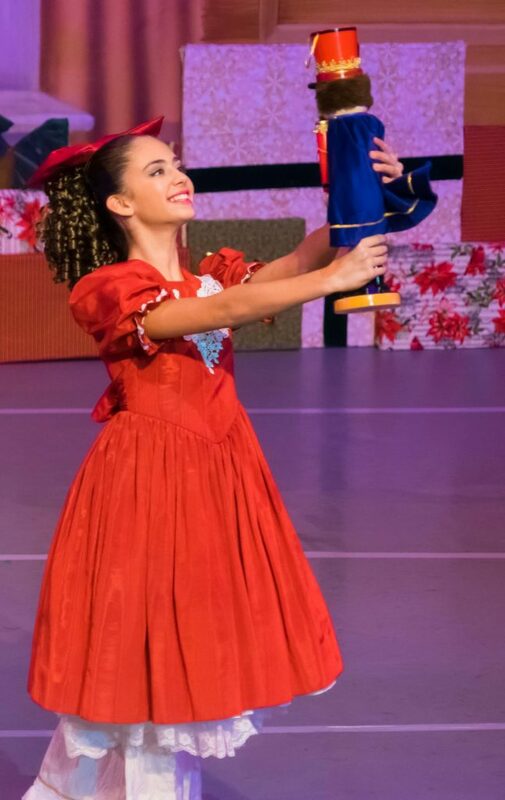 This “Children’s Nutcracker” showcases the breadth of talent being cultivated within the studios of the academy, with soloist and semi-soloist roles being played by pre-teen and teen ballerina’s in training. December 7 - 10 a.m.
December 8 - 12 p.m. and 4 p.m.
December 9 - 2 p.m.
December 13 - 10 a.m.
December 15 - 3 p.m. and 7 p.m.
December 16 - 5 p.m.
What would the holidays be without George Balanchine’s The Nutcracker®? Whether it’s your first or thirty-first time seeing Pennsylvania Ballet’s production of the classic, watching the timeless story brought to life is always a delight. From a festive family party, to the exciting battle between the Nutcracker and the Mouse King, and the delectable journey through the Land of Sweets, Marie’s magical story is thrilling for the young – and young at heart. 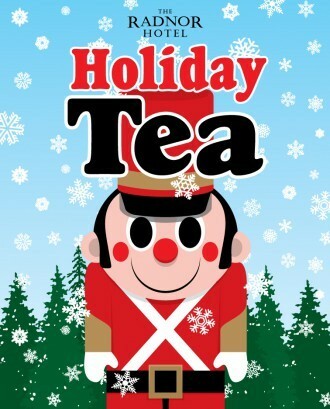 Join the star of Philadelphia's most anticipated holiday tradition for a magical afternoon of tea and tutus. Enjoy a delectable buffet and photo opportunity with the Sugarplum Fairy and experience a captivating matinee performance of George Balanchine's The Nutcracker™! 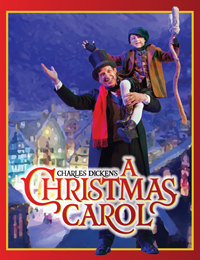 This year marks our 26th annual presentation of the classic Dickens tale about the transformation of Ebenezer Scrooge from miser to man who honors Christmas in his heart, as adapted by internationally known playwright Nagle Jackson. Come find out why this has become a Delaware Valley holiday tradition. 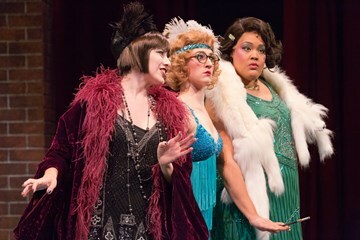 The rollicking, merry, and heartfelt musical is all about a boy who is unique because everything he touches turns to ice. 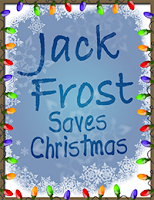 Jack Frost appears out of a snow bank and meets four humorous animals: a rabbit, a polar bear, a penguin, and a raccoon. He then escapes from the North Pole and finds himself in a ‘mistaken identity’ situation. On one remarkable Christmas Eve, Ebenezer Scrooge is visited by three ghosts who show him past, present—and possible future. You and your favorite kids are in for a treat with a special hour-long musical adaptation for kids that uses traditional songs to highlight Dickens’ magical story. Deck the halls as our holiday spirits travel beyond the footlights, right into your very own heart. This very unique train recreates the excitement and anticipation of Christmas Eve. A reader dressed in a Victorian nightshirt and cap will read Clement Clarke Moore's classic poem, The Night Before Christmas, as passengers enjoy cookies and milk as the train rolls along. After the train ride, children are also treated to storybook readings of holiday classics aboard our Caboose (stationary) and visitors of all ages can enjoy a ride aboard the Tinsel Trolley, a self-propelled motor car. 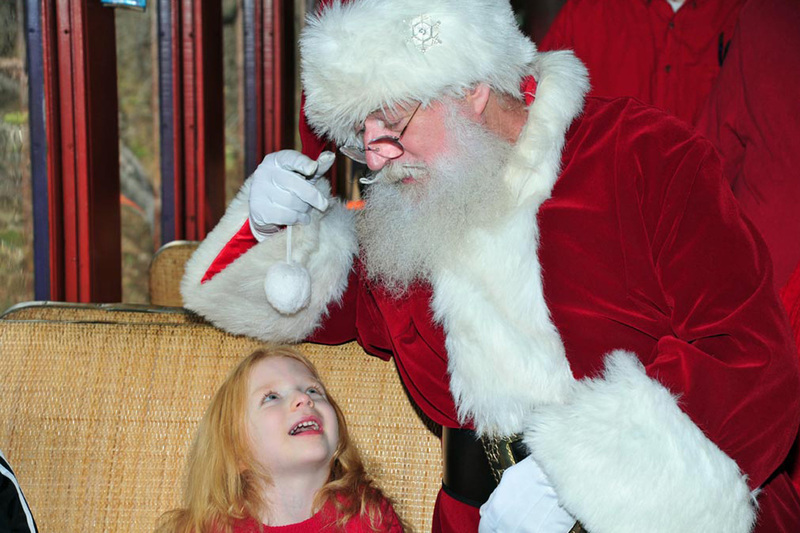 Santa himself will climb aboard and visit with families as they travel down the tracks to Paradise, PA, and back. All aboard Santa's Express! 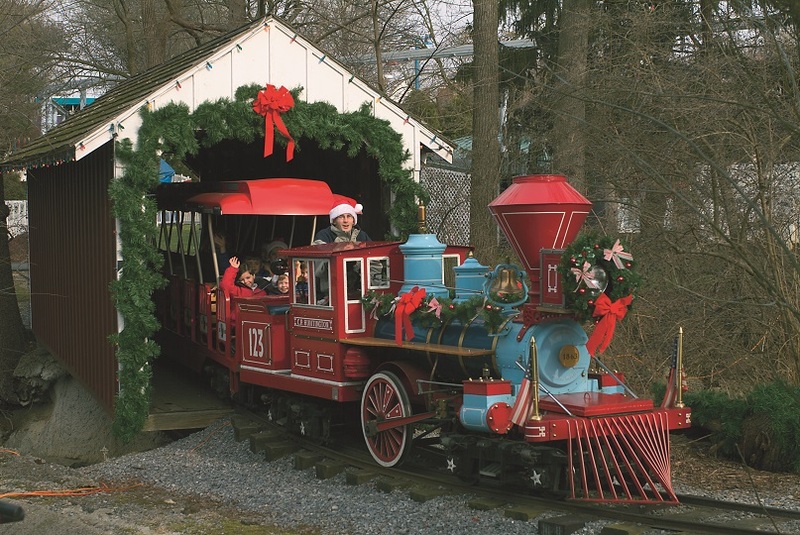 Join Santa for a 90-minute journey on our heated decorated train through the Chester Creek Valley. Santa and Mrs. Claus will be greeting everyone at Market Street Station and then going along for the ride to Glen Mills. Once at Glen Mills passengers can disembark and explore the historic station. There are plenty of photo opportunities on Santa's lap inside the station. Remember your cameras! Upon return to West Chester, all passengers receive treats from Santa! Inspired by the run-away hit movie produced by Warner Bros. Entertainment, Inc. and the award-winning book by Chris Van Allsburg, this holiday favorite comes to life as you and your family take a ride on The Polar Express. Set to the sounds of the motion picture soundtrack, families are sure to enjoy their trip complete with hot chocolate and cookies served on board the train. Passengers will then be entertained by a reading of the Polar Express. Santa will greet the children and each child will receive their own sleigh bell, just like in the movie, to those who BELIEVE. Experience the joy of singing songs with our roaming hobos, be amazed at our Juggling Chef and make your wishes in person to Santa himself! Why stand in line at the mall and wait to see Santa, when you can ride our train and have Santa come to you? The Jolly Old Elf himself rides the train and greets everyone on board, and gives all children a chocolate treat. Be sure to bring your camera and have Santa pose for pictures with your child during this 1½-hour round-trip to Ashland. 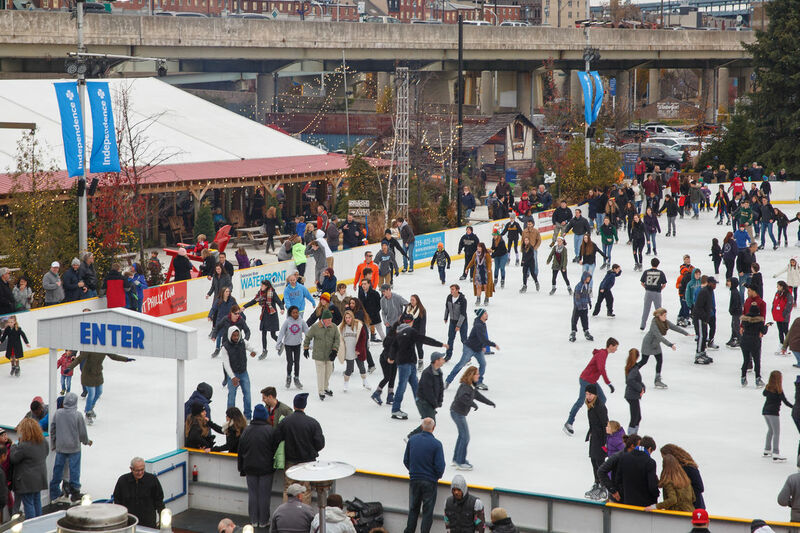 The Delaware River Waterfront Corporation is proud to continue to present a wintertime tradition in Philadelphia, as the Blue Cross River Rink will re-open for the 25th season on November 23rd. The Blue Cross River Rink at Penn’s Landing, Philadelphia’s only outdoor public ice rink, is located on Columbus Boulevard at Market Street. Half a million outdoor lights and holiday magic await you during Longwood's incomparable Christmas display. Enjoy dazzling trees and seasonal concerts. The Music Room hosts a special, themed holiday display. 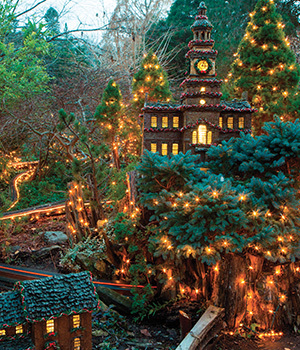 Kids of all ages will delight in a miniature Garden Railway decked out for the holidays. Thousands of poinsettias accented with amaryllis, artemisia, begonias, cyclamen, hybrid lilies, kalanchoes, paperwhites, red-berried plants and many other flowers flourish inside acres of heated glass conservatories. Living wreaths, swags, and live floral trees adorn rooms throughout the Conservatory. Included in Gardens admission. THE 2018 CHRISTMAS LIGHT SHOW runs hourly from the day after Thanksgiving through New Year's Eve day check website for times. The DICKENS VILLAGE (Floor 3) is open continuously during the same period from 10am to 7pm. Daily, 10:00 a.m. – 8:00 p.m. 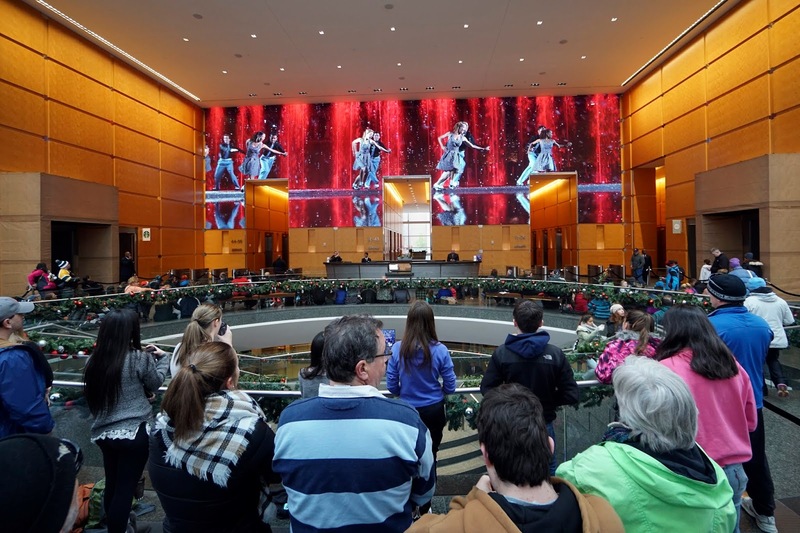 The magic of the holidays come alive in “The Comcast Holiday Spectacular,” a must-see holiday tradition in Philadelphia, entertaining people of all ages and spreading holiday cheer. 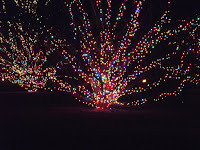 Take a ride in the comfort of your car and drive through the beautiful light displays on the Herr's property. 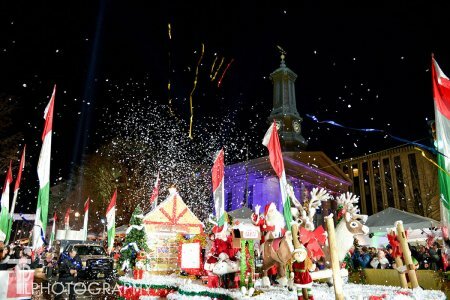 Experience the magic of the holidays and celebrate traditions new and old at the Franklin Square Holiday Festival. From November 9 - December 31st, dazzle in the lights of the Electrical Spectacle Holiday Light Show; warm up with comfort food, local beers, and hot beverages at Ben's Bites & Brews; and shop for handmade, artisanal gifts at the Holiday Market. 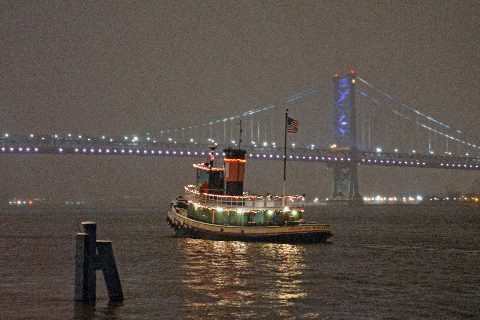 Independence Seaport Museum annual Parade of Lights returns to the Delaware River on December 8th. The lighted boat parade features our working port, with tugboats and other vessels decorate within lights. Before the parade, spend the day inside the Museum for holiday activities and entertainment. Museum visitors will get the best view of the parade from the 2nd floor balcony overlooking the Delaware River. 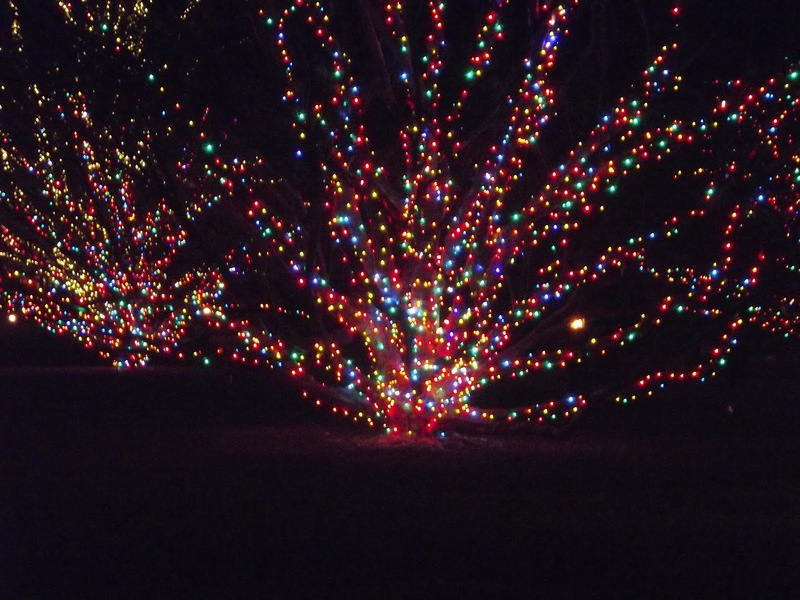 Experience the magic of more than 3 million lights illuminating acres of farmland at the Shady Brook Farm 2018 Holiday Light Show! Encounter whimsical holiday displays and familiar characters. Drive through in the comfort of your own car or enjoy the show on an open-air wagon ride (weather permitting). Warm up with a cup of hot cocoa and cook up some s’mores at a toasty bonfire (cocoa, marshmallows, and more treats available for purchase in the Farm Market). A Very Furry Christmas at Sesame Place! For a one-of-a-kind family-friendly celebration with everyone's favorite furry friends. The fun starts with 3 special Christmas shows, awesome music and twinkling lights all around. Plus, you'll find more than 300 Christmas trees, including a huge celebratory tree decorated Sesame Street-style. The street will glow with festivities and come to life at night with our illuminated Street Party Parade. And the fun continues with a special Christmas menu, super holiday shopping and, of course, a visit with Santa. Dutch Winter Wonderland offers themed rides, games, and holiday entertainment under thousands of twinkling lights! Indoor activities include cookie decorating, voting for your favorite gingerbread house, and sharing holiday wishes with Santa. 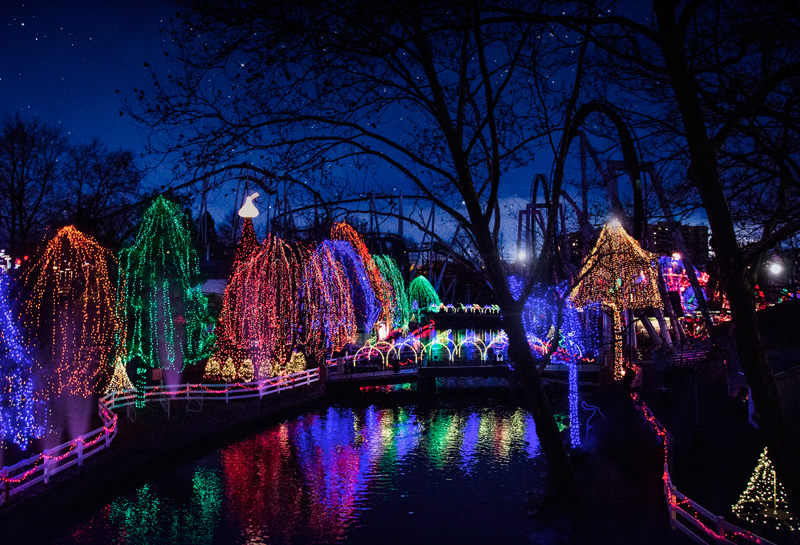 The magic of the holidays comes to life at Hersheypark Christmas Candylane. With two million twinkling lights, rides for all ages, festive decorations, and Hershey's Product Characters decked out in their holiday best, there is something for all to enjoy!